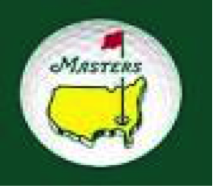 The US Masters Texas scramble is run across 24 Scottish Golf Courses and consists of a Texas scramble competition with 4 ball teams. The winner of the competition run at Balfron (and the other 23 competitions) will then compete in a final at Pumpherston Golf club. The winning 4 ball team at Pumpherston win the incredible prize of a trip to the US masters in Augusta. If you would like to enter a team, please complete the attached form. Balfron members can also enter via the computer booking system. Individuals who want to participate can also apply and the committee shall try and make teams of 4 from individual entrants. Team members can be changed on the lead up to the tournament, this competition is open to Ladies and Gents and mixed teams are welcome. The entry fee is £20 per head (£80 per team). You will get a bacon Roll and a coffee on arrival and a burger and a beer/ soft drink after your round. There will be excellent spot prizes (nearest pin, straightest drive etc), a bar and lots of other incentives on the day. Congratulations to Gerald Gallacher and Joan Walker for winning this years gents and ladies medal finals.